Dempsey E. Benton Water Treatment Plant (WTP) Backwash Waste Clarification Facility | Wharton Smith, Inc. 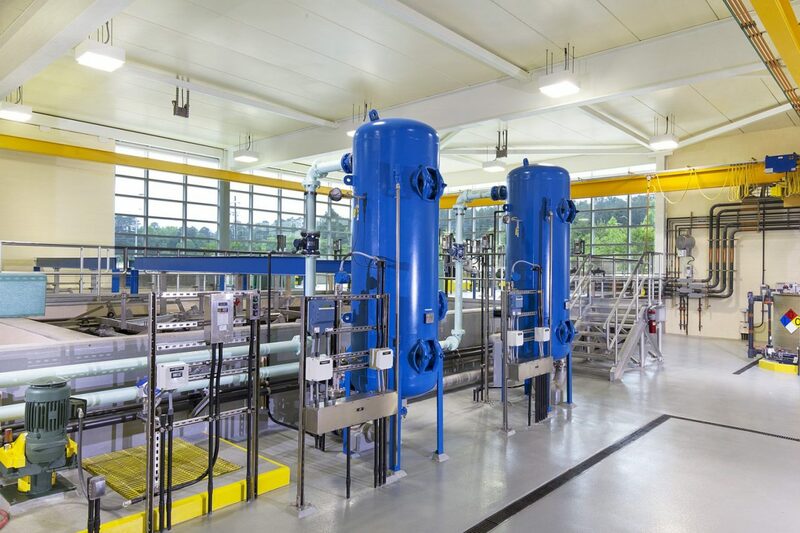 The Dempsey E. Benton Water Treatment Plant is a 20 MGD facility serving Raleigh and six neighboring cities. 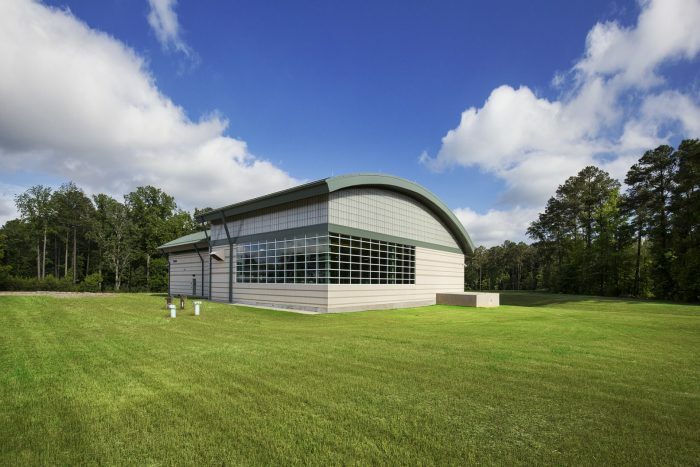 The Backwash Waste Treatment Facility is designed to clarify and disinfect filter backwash water and return it to Lake Benson, which is the water supply for the nearby water plant. The recycling of backwash water preserves the water supply in times of drought and increases the capacity of the city’s sewer system. As general contractor for the project, Wharton-Smith constructed a new clarification building, dissolved air flotation (DAF) clarification system, influent pumping station, ultraviolet disinfection system, chemical storage and feed systems for polymer, dechlorination and caustic, an instrumentation system, electronic security system, and all associated site piping systems, site work and electrical work. 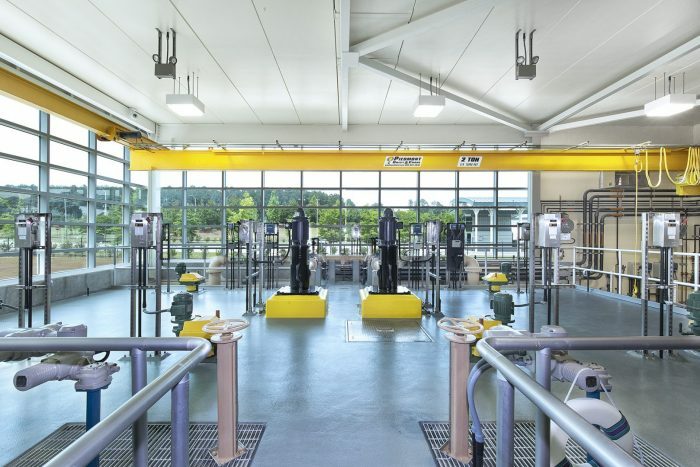 Upgrades to the existing facility were also performed, including GAC finished water pumped filter backwash piping, ozone contact chamber concrete modifications, and soil amendment/sprigging.